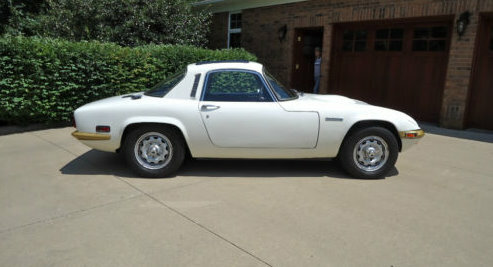 The Elan Coupe is a relatively rare car to begin with. 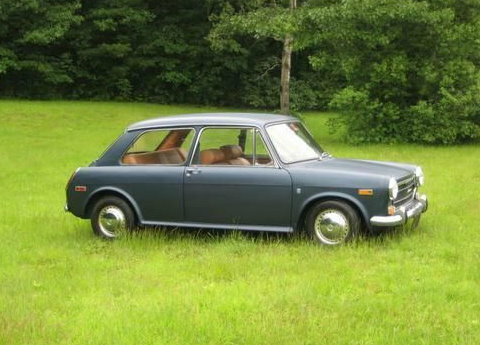 This never-titled, 5700 mile car has to be a one-of-a-kind. Located in Iowa City, IA, click here to see the eBay ad. 1971 Austin America - The story of this car is long and convoluted, but from what I can gather this is a sub-10,000 mile America. It's said to run good and has little rust. It needs some paint and some minor work. The big downside to this car is that it's an automatic. The America automatic transmission was a clever idea, but it didn't help the car's (not very good to begin with) performance and it was fragile (the one originally found in this car quit before the car had 10K miles on it). Located in Auburn, NH, click here to see the eBay listing. 1985 TVR 280i - This could be a bargain. 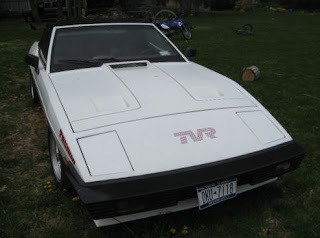 According to the seller this car needs brake and exhaust work. If it's as clean in person as it looks in the pictures - and if it needs no major mechanical work - the asking price of $2500.00 is very reasonable. Located in East Hampton, NY, click here to see the eBay listing. 1987 Jaguar XJ6 - Very few cars manage to be classy, sporty and graceful at the same time. The XJ6 is one of the few that does. With the Series III, Jaguar perfected the original XJ. It looked modern, but didn't lose its roots. Jaguar took a giant leap forward in reliability and build quality with the Series III. It was one of the first Jaguars you weren't afraid of driving everyday. This 1987 XJ6 has just 44,000 miles on it. It looks to be in very nice shape. The asking price is $2850.00. You could spend 10 times that amount on a newer used luxury car and still not have a car as satisfying as this one. There is a caveat, of course. While the Series III cars are very reliable by Jaguar standards, they are Jaguars and they are old. When things do break, parts are very expensive. Located in Omaha, NE, click here to see the Craigslist ad. 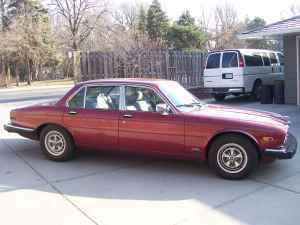 A big thanks to JaCG reader, Vince, for sending me the link to this XJ6! Ditto to the above comment about the Austin America. Anyone who knows these cars, knows to stay away from the Automatic. They are dogs and sharing engine oil with trans for the auto was a terrible idea. The manual does this too, but holds up much better. You can't convert the auto's to stick either without changing the motor as the blocks are different. These are great cars when they are manuals and rust free (from the west coast).